When the zombees arrived, they were first spotted on Vancouver Island. And now that there’s buzz surrounding their discovery in Nanaimo — the first recorded in Canada — an expert in the field predicts they’ve already reached the Canadian mainland. 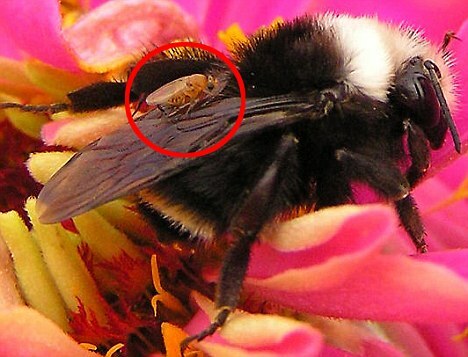 Zombie bees are not actually insects that have risen from the grave, but rather the result of a parasitic infection. A phorid fly lays eggs inside a honeybee, and the fly larvae will eat away at the bee’s insides. 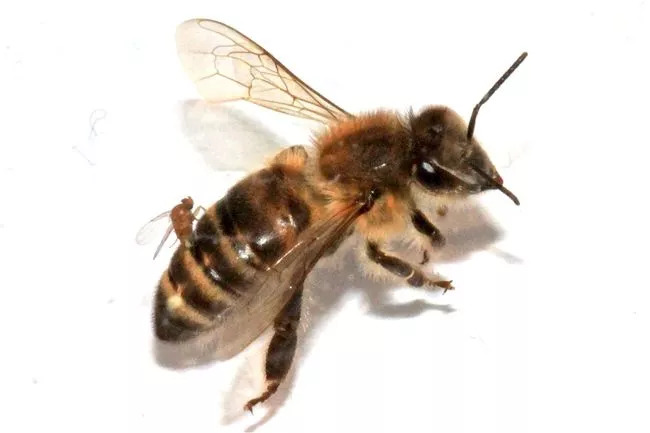 During that process, the bee will abandon its hive and appear zombie-like — disoriented and moving toward light sources — until it dies and the fly larvae bursts from the bee’s abdomen. After numerous cases found in the U.S. over the past few years, beekeeper Sarah Wallbank is credited with making the first Canadian discovery of zombie bees. She was alerted to the infected insects when she noticed odd behaviour in bees from her Nanaimo hive. John Hafernik, a San Francisco State University biology professor who founded ZomBeeWatch.org, a site that uses the contributions of nearly 3,000 citizen scientists to track the infections, says he “wouldn’t be surprised” if bees are already being infected on the B.C. mainland and elsewhere in Canada. Hafernik said it’s still unclear how much of an impact the parasites are having on the overall health of honeybee hives, during a time when the insect’s population is already known to be declining. But worker bees, who are primarily infected, leaving the hive is a symptom of the unexplained Colony Collapse Disorder. “If you get enough honeybee workers infected, that changes the dynamic of the hive … and ultimately whether that hive will be able to survive or not,” Hafernik said. He is hopeful the Canadian discovery will spark interest north of the border in ZomBee Watch — where users watch for signs of infection. Kelowna is currently the only place on the Canadian mainland where a user has sampling in progress.